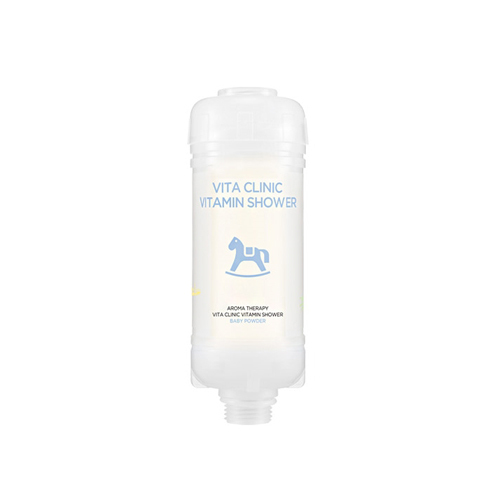 A vitamin-rich shower filter with baby powder scent removes harmful things while replenishing your skin. It helps remove the chlorine, rust, and potentially harmful substances in tap water that irritate your delicate skin. You can use it hygienically thanks to the gel type content and you can enjoy aroma therapy at home. Remove the existing shower head. Attach the shower filter to the shower arm and shower head, and twist it to secure it into place.